Inside No. 9 'To Have and to Hold' airs this week on BBC Two starring Steve Pemberton, Nicola Walker, Reece Shearmsith and Miranda Hennessy. Adrian spends his time photographing other couples' weddings, but his own marriage to Harriet is far from happy. Can they renew their vows, spice up their love life and make a fresh start, or have they just run out of love, trust and time? 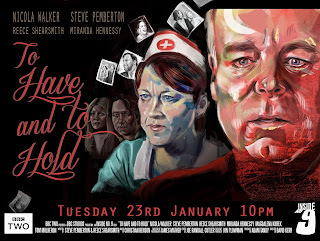 With Steve Pemberton, Nicola Walker, Reece Shearsmith and Miranda Hennessy. Directed by David Kerr.